Ladies Rimini Cotton Mix Bias Skirt in a classic check design. 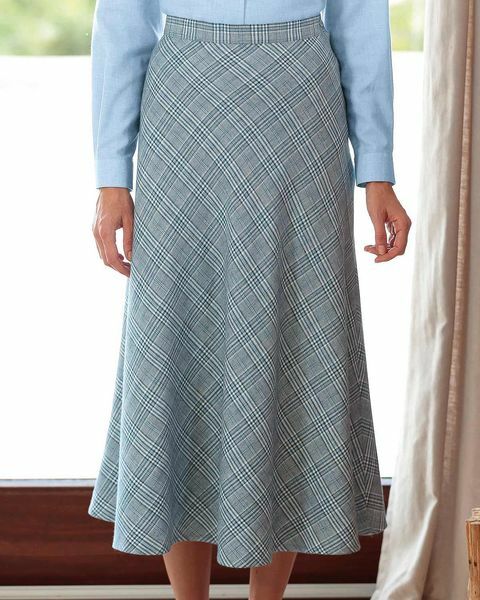 Ladies flattering bias cut, fully lined style skirt with side zip and button fastening. Side back waist elastication for a comfortable fit. Classic check in tonal shades of navy, ecru and pale blue. Easycare cotton blend fabric. 35% cotton/ 35% viscose/ 15% linen/ 10% acrylic/ 5% other fibres.